I did a little canning this afternoon. 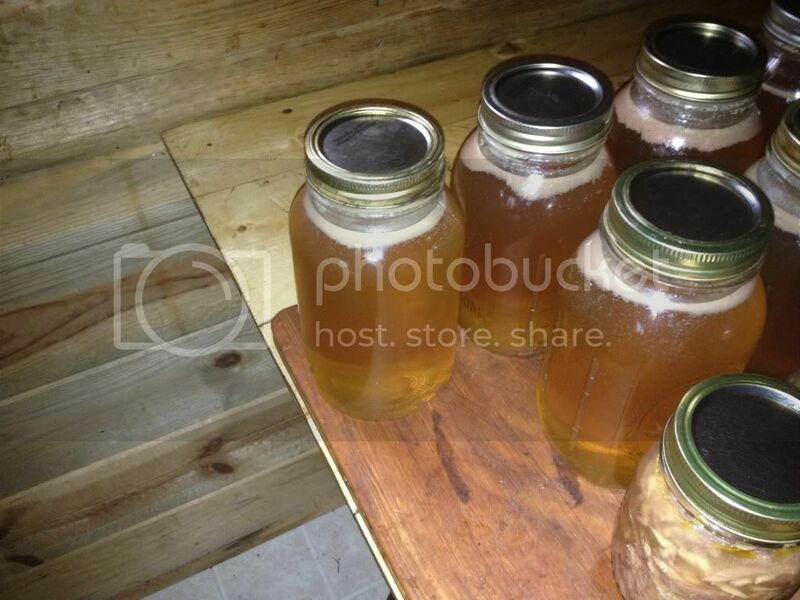 I canned 7 quart jars of chicken stock and 10 pints of chicken. I made the stock and the canned chicken from several carcasses and random pieces from butchering and cutting up chickens. I also had a couple of left over ham hock bones. We save all of our carcasses and do this whenever we have enough. We'll prolly have enough for another batch soon. You would be surprised how much little chicken pieces can be saved up and utilized by taking the time to do this. We figure that we had better use everything that we can! I actually made the stock yesterday, but strained and separated the fat from the stock and 'picked' the chicken today. The chicken is canned with stock instead of water! Anyway, here are a few pics! This is something I've never made. The bones are all the left over parts and pieces from cutting up the chickens. We really never fry them anymore. We generally just cut them up and use in various dishes, so we have all the backs and such leftover. So no... the pieces aren't cooked. We have a canner that holds 7 qt. 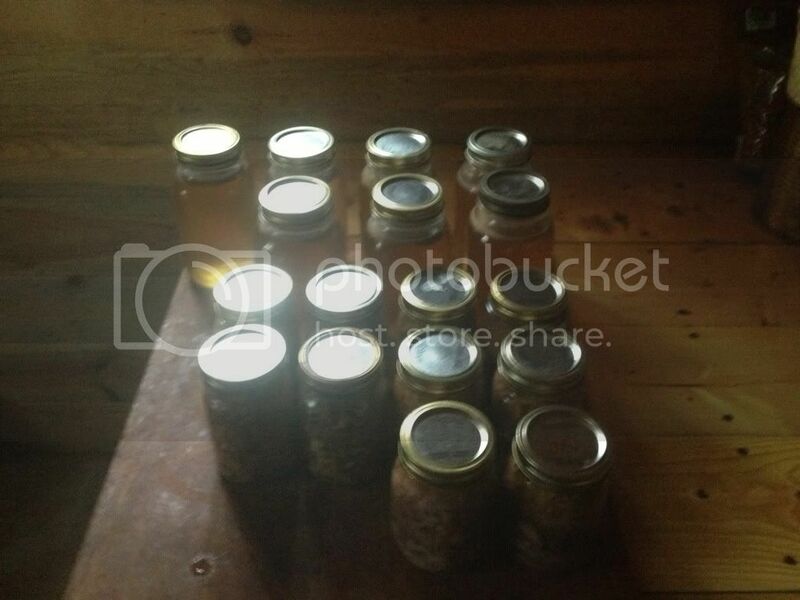 jars, so it's fairly large. I just stuff all the pieces, parts, etc into the canner that will fit, then add 2 gallons of rain water, a couple Tbs of salt, some black and white peppercorns, a little onion and garlic, a little turmeric powder, and a little celery seed powder. I don't can this, I just bring it all to a boil, cover and let it simmer for a couple of hours. Do you do Turkeys like this too? So what do you make for meals that you go grab a jar of broth or chicken for? We don't raise turkeys, but if we did, I would. We use chicken stock instead of water in pretty much any and all recipes that call for water. We don't make enough stock to keep us supplied, so we have to buy it often. OH yes! I agree on the rice cooked in stock. I've been buying it in the can but to me it seems to be very salty lately. I wish I was your neighbor.. I think I'd learn a lot. 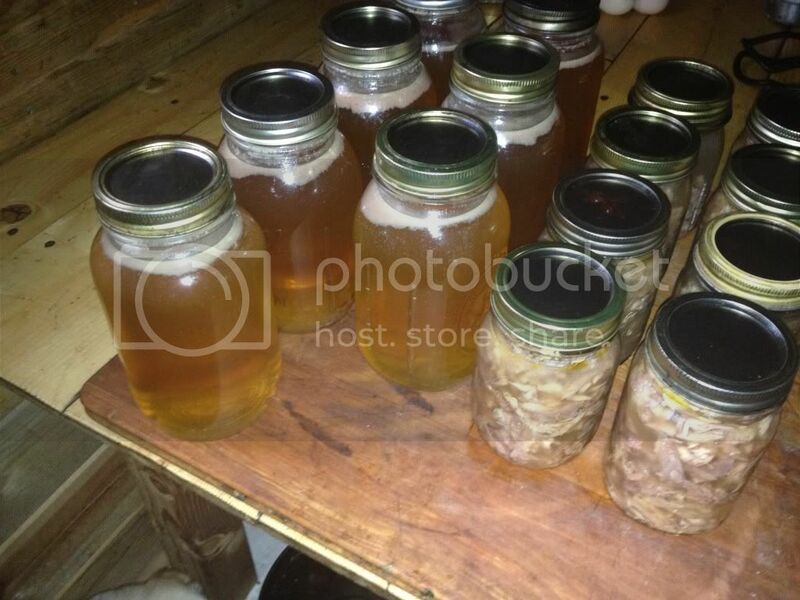 Nice work, BH, but since we have a lot of freezer space, we freeze all of our chicken stock. That stuff's liquid gold! And yes you are right... It IS "liquid gold"
We buy our regular stock from Costo by the 6 pack in quarts. It's organic, really good and not salty at all. I don't like much salt either!